Did Sunday’s “Westworld” feel a little too familiar to you? OK, so Lisa Joy and Jonathan Nolan’s hit HBO series may have cribbed a bit from itself for “Akane No Mai” — the fifth episode of Season 2 aka “the Shogun World one.” But the self-plagiarism was all in good fun, series regular Thandie Newton and guest star Rinko Kikuchi told TheWrap. Tonight’s long-awaited dive into Delos Destinations’ Samurai-centric location delivered a plot that — thanks to the laziness of head story writer Lee Sizemore (Simon Quarterman) — was very similar to what we’ve seen in the titular theme park, beginning with a Geisha house robbery that’s almost a shot-for-shot remake of the Mariposa Saloon heist from Season 1. Except this one focuses on a standoff between new host characters Akane (Kikuchi), the head geisha, and Musashi (Hiroyuki Sanada), a former member of the Shogun’s army. They are the Japanese doppelgängers of our beloved Maeve (Newton) and Hector (Rodrigo Santoro), who watch this surreal copycat storyline play out before them after being taken prisoner in the fake foreign land. Japanese native and Oscar nominee Kikuchi told TheWrap in an interview through interpreter Lena-Grace Suda that acting out those shots meant even more to her as a fan of Season 1 and a fan of Newton. 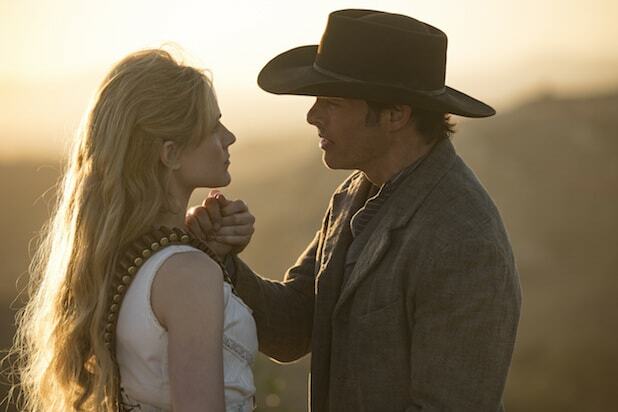 See a clip of the original sequence from “Westworld” Season 1 above.